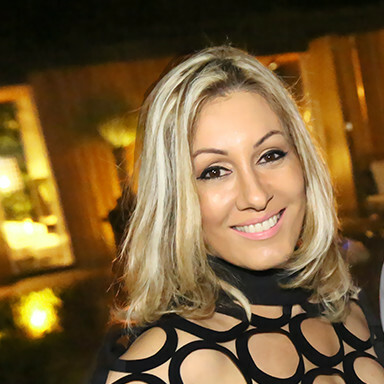 There are many elements that contribute to home décor. The chosen accessories, wall colours and even the arrangement of furniture in each environment. But there's one detail that can make all the difference, which is often overlooked: the ceiling. When a home has high ceilings the plaster lining is an alternative for those seeking a sophisticated, modern and clean look. The material may be combined with a lighting design, providing different visual aesthetics, such as a lowered ceiling. A lowered ceiling is an excellent option that brings more closeness and feeling of warmth to the home. They also influence the thermal sensation and the sound acoustics of a space. Plaster ceilings, such as crown molding and the use of openings in the plaster, assist in the distribution of light, creating lighting points that favour the room. 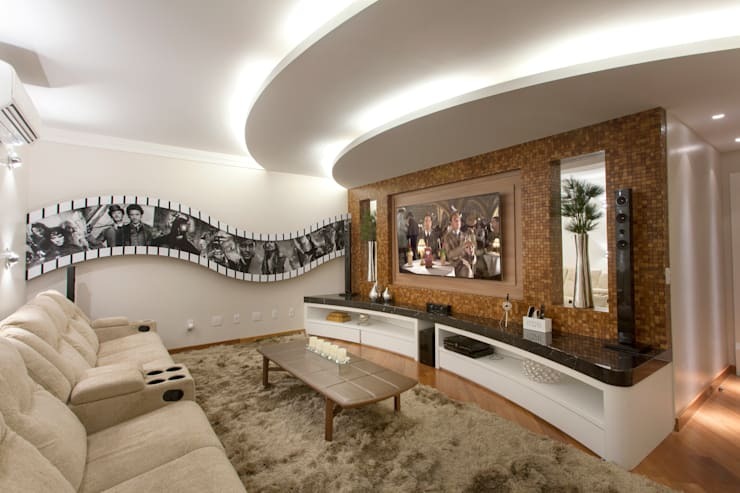 For the TV room, architect Achilles Nícolas Kílaris designed the example shown above. A structure in curvilinear plaster, which follows the curvature of the wall ensuring a noble and distinguished effect. 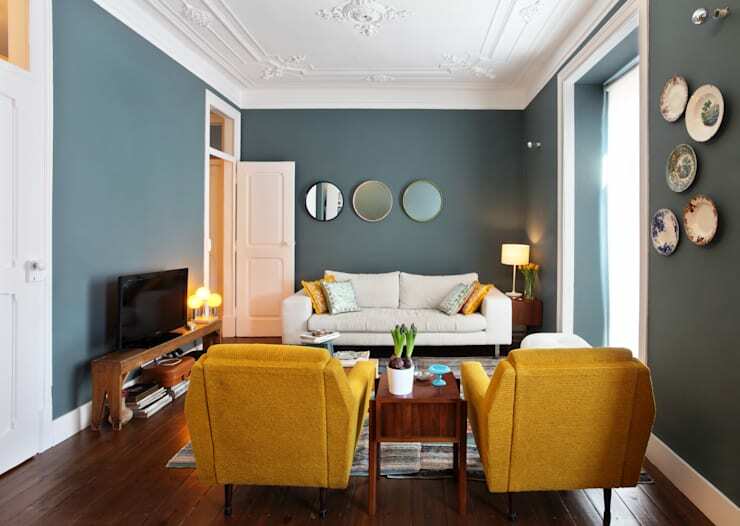 Lighting crown molding is reversed and open, facing the front of the room, causing the light to come from the inside out and add a rich and cosy effect to the room. 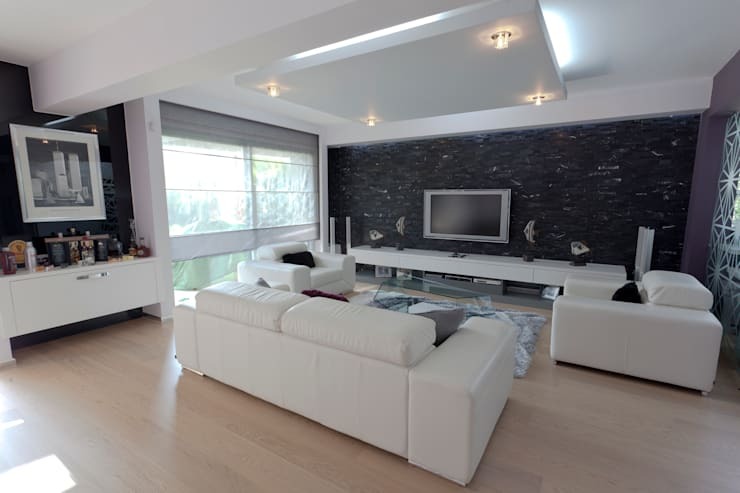 In the minimalistic living room shown here, the furniture in white accents enhance and give a modern emphasis to the environment due to the lighting. The square plaster structure is applied to the ceiling, allowing the passage of extra cold light through the gaps. In addition, it connects the quartet of yellowish light that are located in the corners of the gypsum board, generating a sophisticated atmosphere and keeping the line clean for this convivial, family room. This multimedia room has a fun and colourful style as the lighting makes all the difference, providing a more jovial and warm sensation. The inverted crown molding highlights the focused light on the walls and, while the room does not have indirect lighting fixtures, it is not dark. The direct light that emits through the spots does enough in highlighting the bold and relaxed décor of the room. 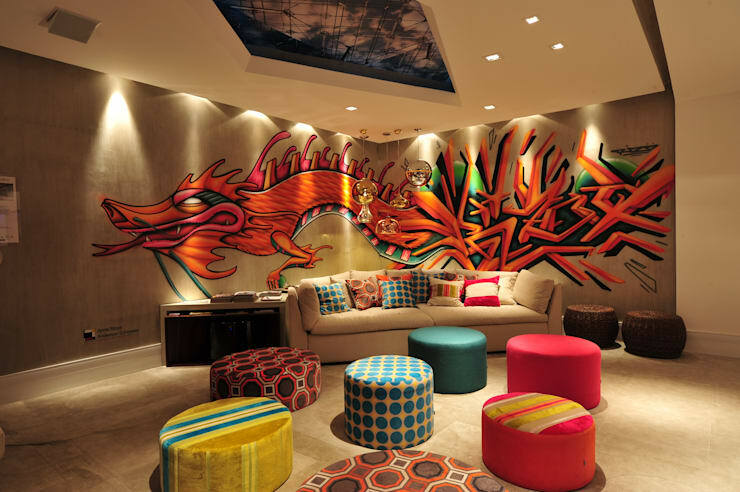 This room is a project designed by interior architects Anna Maya & Anderson Shussler. In the above bedroom, the indirect illumination of the ceiling, reflected by the light plaster recesses on the side, does not hinder those who are in bed as the lights generate a more comfortable and calm mood for the room. Meanwhile, the floor lamp on the side of the bed provides for a sharper focus and more intimate lighting. 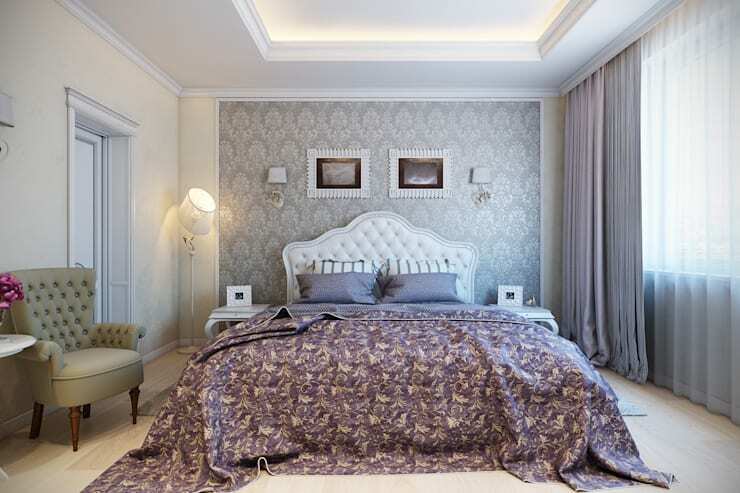 The plaster on the ceiling design centres the bed and makes a harmonious composition for the double room. For a classic room the ceiling has a more elaborate decorative plaster. This will be a good option for those who are not fond of modern styles and direct lighting. There are different materials that can be used, such as plaster and Styrofoam, and can be installed directly on the ceiling. They can also be installed in a plaster recess, creating very beautiful frames and giving a different touch for environments such as the living room. In this design the plaster has a curved shape that not only embeds indirect lighting, providing a more exquisite illumination, but also enhances the décor of the room.The lighting in this room deserves special attention—embedded in the plaster lining is a set of rail pendant lamps, which create glowing pockets, resulting an interesting play of light. The lighting shown here is a great benefit to the wardrobe as it allows you to better visualise your clothes whilst also imprinting a charming and warm sensation. In this project, designed by Projecta Architecture, the wardrobe ceiling has a plastered structure with a centralised gypsum board and side lamps, which add a stylish finish. 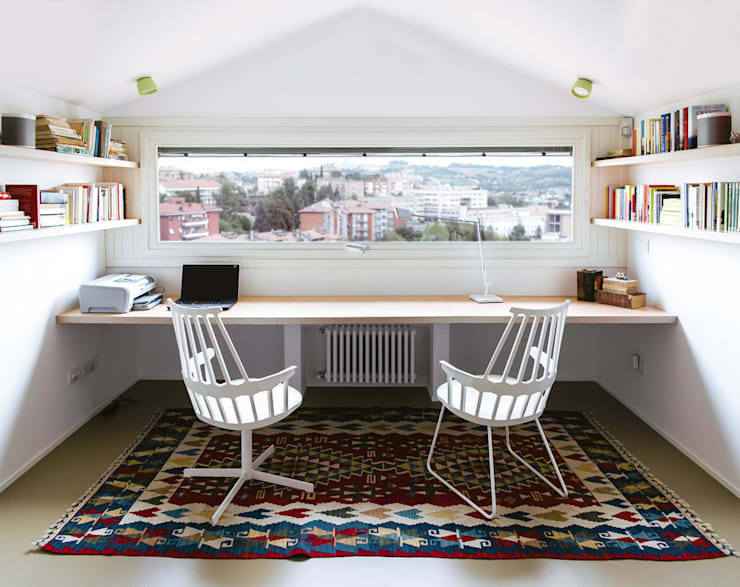 In this room natural and artificial lighting find a perfect balance and consequently, the office became a cosy space to work and study. The shape of the plaster recess allows natural light from the window to easily penetrate the room whilst the light spots are in the perfect location for evening hours! 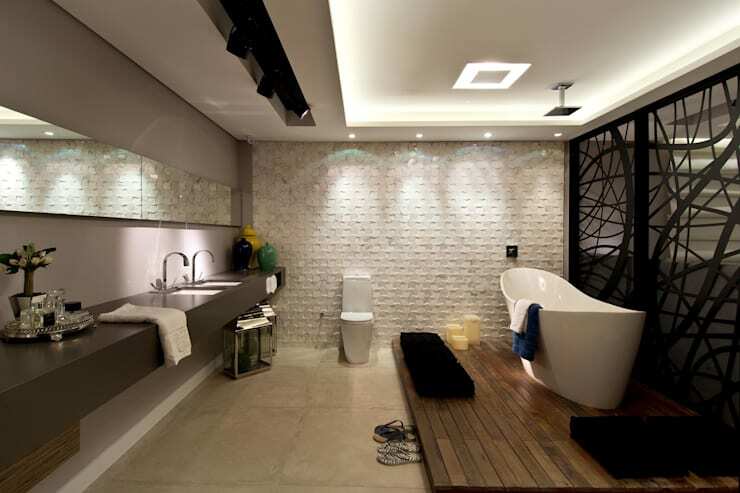 This bathroom is a great example of a lowered plaster ceiling with cut-outs. In the centre, with an open crown molding that illuminates from the inside out, the emitted light is indirect and soft, making it ideal for bathing. There is a recess in the gypsum that accommodates a composite rail with spotlights that can be focused onto the mirrors rather the bench, which creates a more pleasant ambience. In this fun child's bedroom the plaster serves a decorative function and turns an average space into a creative and colourful place for a child to play and sleep. 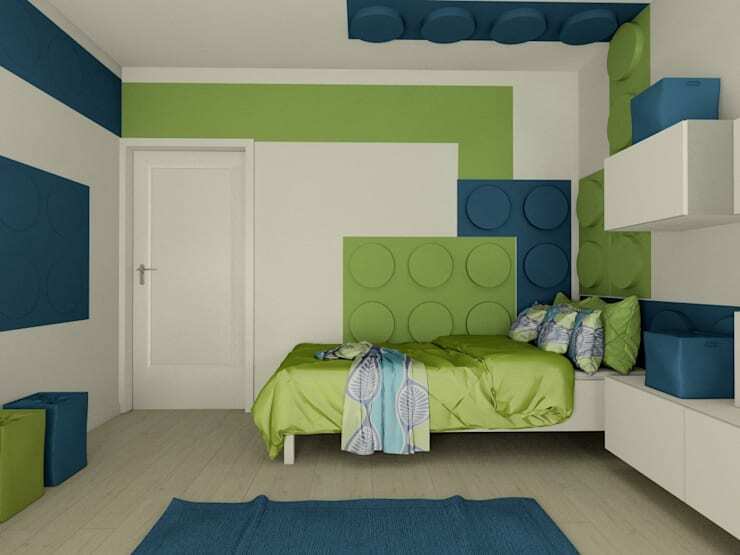 For more child's bedroom inspiration, be sure not to miss: Every Child Is Special So Find A Bed To Match. Have you ever used decorative plaster within your home? How does it look? We'd love to know!